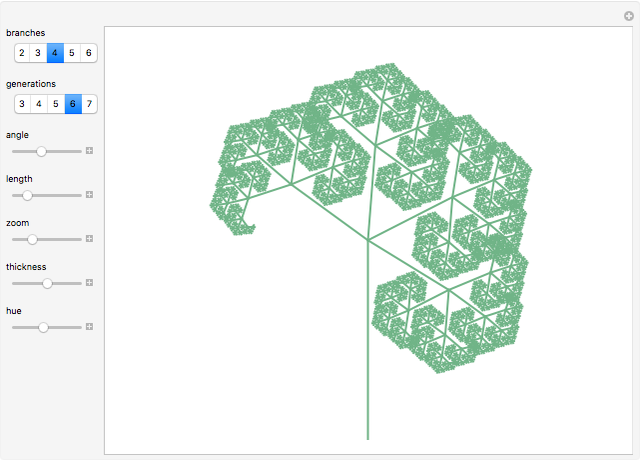 This Demonstration shows a fractal tree, where the end of each branch stem splits into the same number of new branches across multiple generations. The branch angles are determined as fractions of the unit circle. You can vary the length of each new generation of branches relative to the parent generation. 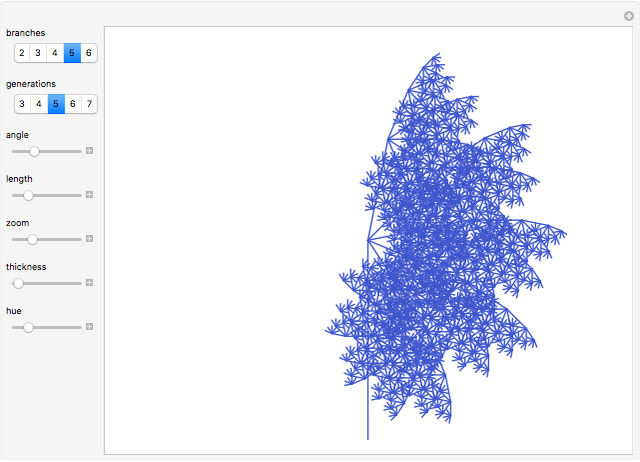 You can also vary the hue and the thickness of the lines of the tree, and you can zoom in and out. This Demonstration was written with materials from Making Math . O'Reilly Media. 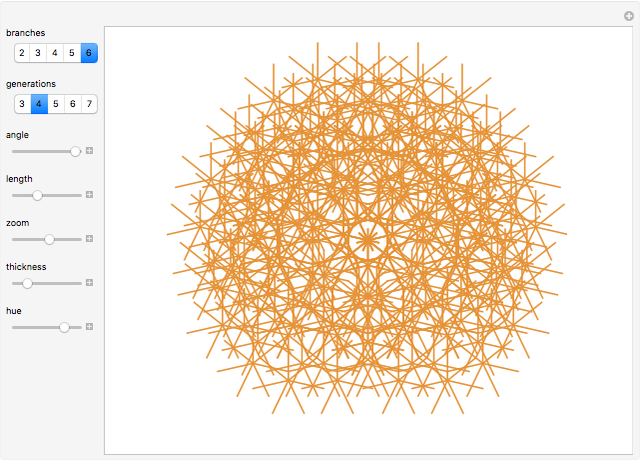 "Making Math." (Jun 2, 2014) www.makingmath.com. Helen Chvoy "Radial Fractal Tree"